The CombiAC-1 has proved to be a versitle product in the marketplace, as it is utilzed in pallet trucks, neighborhood electric vehicles, ground support equipment, boom lifts, and many other applications worldwide. 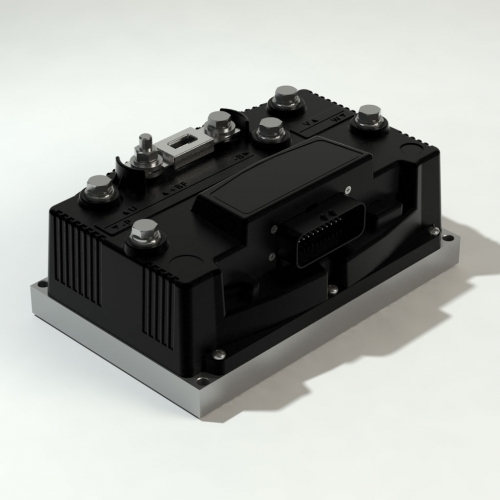 Also, its relatively high amount of I/O allows the OEM the flexibility they need to incorporate many custom functions in their applications. The CombiAC-1 is also available with ZAPI’s Sensorless or Sensecoil patented technology. This allows an OEM to remove the motor’s encoder, which increases reliability and reduces system cost by up to 10%. ZAPI patented this sensorless technology in 1992, and has been implemented on thousands of OEM applications currently operating in the workplace. Since its first introduction, this ZAPI algorithm has been continually fined tuned to provide the best performance, especially when compared to other sensorless technologies in the marketplace.